Full Release on July 28th, Pre-orders Available. Rupert Boyd & Laura Metcalf have been featured on the site a number of times to great reception and they have a new album soon to be released. From what I’ve heard so far Boyd Meets Girl features stunningly beautiful arrangements and exceptional performances by one of my favourite combinations of instruments. Below is a promo blurb and video of Gabriel Fauré’s Pavane. 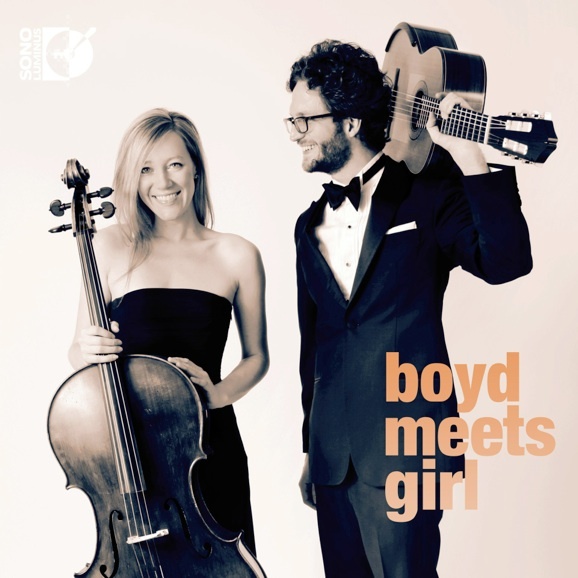 Boyd Meets Girl pairs Australian classical guitarist Rupert Boyd with American cellist Laura Metcalf. Acclaimed soloists in their own right, as a duo they perform an eclectic and engaging range of repertoire, from the baroque through modern day, including many of their own arrangements. 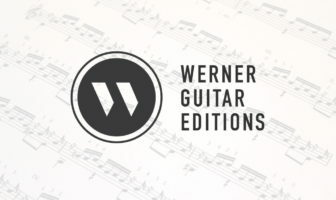 Boyd has been described as ‘truly evocative’ by The Washington Post, and as ‘a player who deserves to be heard’ by Classical Guitar Magazine, while Metcalf, also a member of the ensembles Sybarite5 and Break of Reality, has been called ‘brilliant’ by Gramophone. Boyd Meets Girl has toured throughout the USA, Australia, India and Nepal, including appearances at the Newport Music Festival (Rhode Island), the Gharana Music Festival (Kathmandu, Nepal) and the Monsoon Music Festival (Kolkata, India). A happily married couple, the duo lives in New York City. Ah man! That Pavane is no joke, def an essential for cello duet now.